“You’re going to get us all sued for meowpractice,” Nurse Kathy’s lover, Chase Buchanan III, scolds in the opening scene of Cat Hospital. Later, we discover that although Mr. Peterson has six months to live, he’s only on his second life—seven more to go! 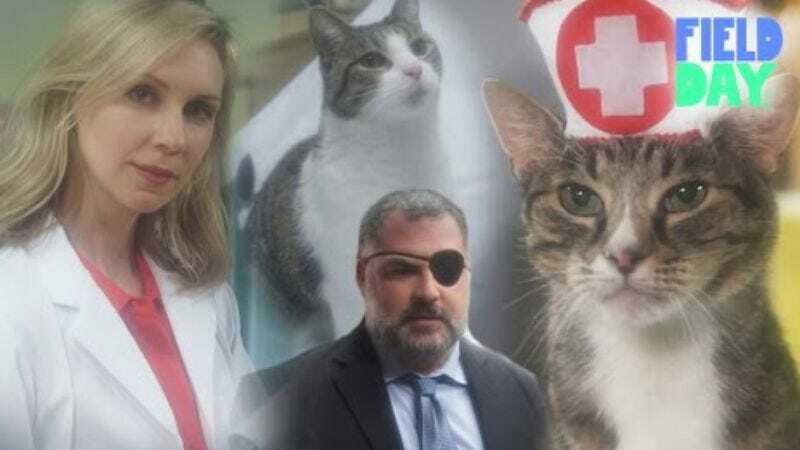 These and the other feline stars of Cat Hospital (hello, Dr. Scratch Adams!) are the pun-filled product of Mark Douglas’ Barely Productions and YouTube Space’s Field Day project, which provides location and equipment support for creatives working on masterpieces like this one. Sadly, this could be the only episode we’ll get to see of Cat Hospital, or at least hte only one YouTube is funding. Douglas says he’ll make more on his own though, if response to this video is positive. We know we wouldn’t complain if someone actually did create a full series where a hospital is run by both cats and humans.